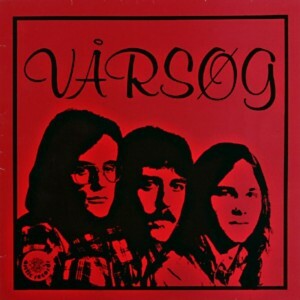 For decades, Vårsøg (Breath of spring) has been one of Norway’s most popular songs and tunes. Recognized by generations, the song was composed by Henning Sommerro in 1971, who took the lyrics from Hans Hyldbakk’s (1898 – 2001) poem by the same name. Many people perceive the words as a tribute to the spring, but they are most likely also a yearning for peace, as the poem was written in the spring of 1945, shortly before the end of the war. Sommerro performed the song for several years, but it was not until 1977 that it was recorded and released to music listeners (see album cover below). His band at the time was also called Vårsøg, and the album – which was awarded a Spelleman award, Norway’s Grammy – was also named after the song. Even though Sigmund’s take on the song in 1983 – on the album Songs without words in collaboration with Sommerro – was not the first recording, and omitted the lyrics, it is arguably his arrangement that is the most famous version of the song. It is a staple in his concerts, but moreover, his recording was used as the signature theme for a popular radio show for more than 25 years. Between 2000 and the end of 2015, Sigmund’s Vårsøg was played 1794 times on Norwegian radio – with 23 additional plays for an alternate recording with Iver Kleive. Vårsøg has also been recorded by other fine fine, including Sumi Jo in South Korea, and since 1995 a festival in Surnadal in Norway has been named after the song. Here’s Sigmund’s version in a promotional video from 1992. This video is also available in high quality on his album Harmonica Hits. Da ska e takk førr sommar’n så e fekk. Tagged 1983, Fact of the Month.